Choosing a right product at the right time would be the toughest decision while starting some kind of business. Every business needs to select such product which should be useful for the profit making. Launching a product at the right time is the most important decision to execute. If due to some reasons the product which a company launched goes wrong or may selection of right product goes wrong, then there is the possibility of risk or damage of finance. Whenever a businessman starts his/her business, the first and foremost decision to be taken is that choosing a suitable product idea to be launched. And to execute that decision, a businessman need to collect all the information about the potential market size. By understanding potential market size, a person can understand the exact need of that product which is supposed to be launched by their company. Whether it is a startup business or existing business, before deciding unique product ideas for the business it is necessary to understand the potential demand for that particular product. Understanding the potential demand for that particular product idea which needed to be launched by that company makes the profit making easy. Therefore, it is important to understand the potential demand for the new product ideas so that there won’t be any kind of loss or risk of failure of that product idea. By keeping a track of potential competitors a businessman can start eliminating the factors which can be a potential risk for the company. Starting a new business or starting a chain new product ideas can be considered as a risk factor because of existing competition for the business. There may be possibilities that these competitors can be a big threat to the new business idea in the business market. Therefore, by holding all the details about an existing competition in the business market makes a smooth flow of launching of the new product. Launching a new product idea is not as easy, it seems, before launching such product idea. It is necessary to understand the ground work. The most important groundwork for the selection of the proper product idea would be made by the growing market line. By understanding growing market, a business will get an idea of the product which can satisfy the needs and wants of the customers. And end up gaining a profitable deal for the new product ideas which needs to be launched. While choosing a product a businessman need to search the business market, whether the product which you are selecting should not be easily available in the local market. If the product is available in local market then it can be considered as a potential threat to the business. Therefore, it is better to choose ideas for new product which is not available in the local market and ultimately all the potential buyers will be interested to buy that product. 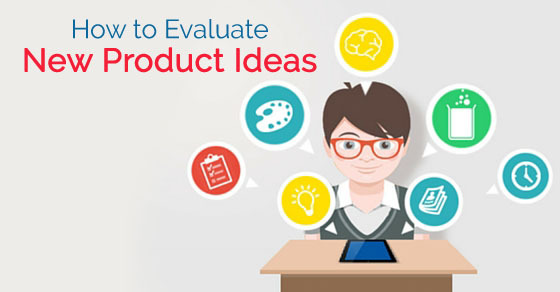 A launching of a new product idea requires a lot of market research, such as understanding the product and targeting the buyers who will be considered as potential customers for the business. Target marketing is a familiar element in the business market, it defines that choosing a group of customers or target who can really be profitable while selling that particular product or services. Once the process of selecting a suitable product for the business is decided then the second thing is to decide about the selling price of the product. A selling price of the product is an amount which is a marginal profit ratio of the actual selling price. Profit is calculated from the amount which has been deduced the selling price from the actual product price. And ultimately it comes to the profit which is the main motive of any business. A businessman should be able to handle all the financial details of the company which is required to be successful in business market. And a potential profit ratio is a marginal profit ratio, which a company needs to earn by selling their product to their potential buyers. And at the end, these profits should meet the marginal ratio of investment so that there should be considerable profit from the business. Therefore, the potential profit ratio keeps all the selling in the track of the profit earning process. A customer needs to believe that the product which has been offered to him / her have another alternative element as per their taste. While launching a product, a businessman need to be prepared with other alternative designs of the product to satisfy the needs and wants of the customers. As we all know that the customer is the main boss therefore, it is important to provide satisfaction to them by offering different varieties of product to keep them intact with that particular product and product lines. A business can only survive by their returning customers and this can happen by offering them some kind of discounts in the product or product line with marginal profit. By offering some kind of discounted product, a businessman will be successful in holding their existing customer without any loss or damage and it will also attract new customers to the business. Timely update of product range and price will make things easier for the business. A product which needed to be offered to their potential buyers should keep in mind that the offering product should maintain certain kinds of size and weight. Every product vary in their size and weight as they vary as per their designs, but a manufacturer need to understand one thing that he/she should offer a product which should be reasonable with its quality and quantity. Any kind of difference in their product line can expose their business very badly. While manufacturing a product, a manufacture need to keep in mind that they should satisfy the needs and wants of the customers. As the common thinking goes a buyer likes to buy such product which relates his price range. For example, a buyer buys a product of a value and all of the sudden the product bought didn’t delivered itself as it was promised, and at that time the question comes that the product is having a very poor durability. To avoid such things it is necessary to keep in mind that quality, quantity and durability with reasonable price are the most common elements that a buyer or customer expects in their product. For example, as the monsoon season starts people starts buying umbrellas. Therefore, if a person willing to start a business of umbrellas then it is a right time for his / her business. It is very necessary to understand the right time for the launch of products. Therefore, if a businessman fails to judge that accurate time of launch, then the business may face serious loss. To avoid such stupidity a launch of a product should be accurate as per the needs of the customers. A product type is a variety of product which needs to be clear with their nature of availability. The nature of the product in the sense that whether the idea of the product manufacturing is a disposable or a consumable. By differentiating disposable and consumable product range, a business can also differentiate its potential buyers because there are customers who believes in buying disposable goods and in other side there are customers who only buys consumable goods. Therefore, product type should be specified so that there will common product difference. While choosing a product specification, a businessman should keep himself / herself in the place of customers. If a businessman could understand the point of view of potential buyers then a product specification goes smooth as planned. It is necessary to understand all the main elements of the product. These product specifications help a potential buyer to decide the type of product which he / she lies to buy and it makes a clear division of its validity. While launching a product line, the launching company need to be clear with its terms and conditions. These terms and conditions helps a customer to make his / her final decision to purchase with the trust that the product which a customer is buying will deliver all the elements of which it was promised by the company. And still if there are any confusions, then a customer can feel free to contact the company with their valuable complaints. For example, when a company decides to launch a range of beauty products then it is the responsibility of the company to deliver the product which is safe and secured of customers’ usage. A beauty product is a range of product which consists of all the ingredients which can affect customer skill externally. As it is a product of external usage, a manufacturer needs to keep all the safety matters of that product. A businessman after deciding all the elements of the product and the market should start focusing on the fact of marketing the product. Recently there is a trend kind of marketing, which has been introduced. These startup trends help that particular product or the company to create a difference in the business market. By publishing certain kind of startup trends, a company can be successful in attracting a range of customers other than potential buyers. Therefore, it should be clear that every business holds on the ground of marketing of the product. As mentioned earlier, startup trends requires promotional activities. These promotional activities help that particular company to launch their product in a very grand manner to reach most of the customers. Therefore, a business can start establishing some promotional activities or sample products which gives an idea about the new product. By these activities the customers will decide to buy such new product after using such sample products. And these kind of promotional activities can build brand loyalty among other customers. To end this discussion, we would suggest all the existing and startup businessman to consider all the above mentioned elements before starting or evaluating any new product ideas. These product ideas require patience and perfection to reach its ultimate goal. Every single business has their own objectives and objectives specifies the main motive of their company. These motives helps to start a honest and safe product range which can satisfy the needs and wants of the customers. Therefore, when a business starts thinking about launching a new product idea, he / she should consider all the above mentioned factors, before starting any business or company. All the above mentioned elements can guide a businessman things which can favor his / her new product ideas.